Russian jurist; born in the first quarter of the nineteenth century; died at Moscow 1900. He studied law at the University of St. Petersburg, from which he graduated in 1866. Verblovski was one of the first secretaries of the circuit court of St. Petersburg; he then became a member of that of Voronezh, and later of that of Moscow. 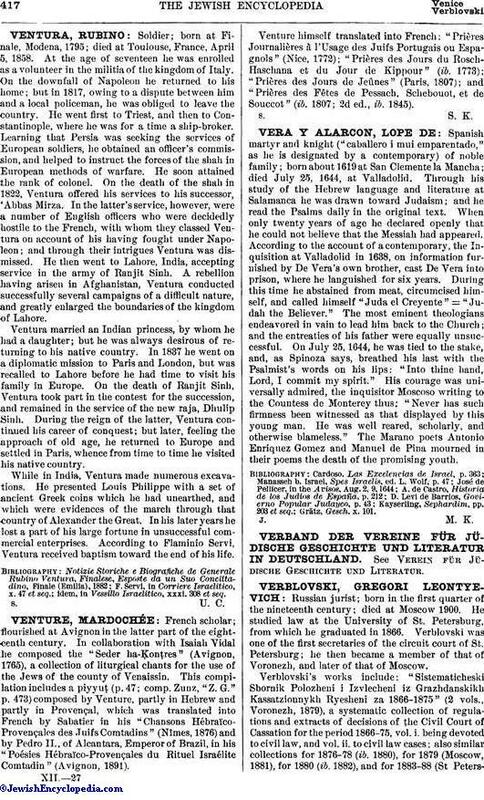 Verblovski's works include: "Sistematicheski Sbornik Polozheni i Izvlecheni iz Grazhdanskikh Kassatzionnykh Ryesheni za 1866-1875" (2 vols., Voronezh, 1879), a systematic collection of regulations and extracts of decisions of the Civil Court of Cassation for the period 1866-75, vol. i. being devoted to civil law, and vol. ii. to civil law cases; also similar collections for 1876-78 (ib. 1880), for 1879 (Moscow, 1881), for 1880 (ib. 1882), and for 1883-88 (St Petersburg,1889); "Dvizhenie Russkavo Grazhdanskavo Protzessa" (ib. 1883; 2d ed. 1889), on the proceedings in a Russian civil lawsuit; "Zakonopolozheniya o Poshlinakh s Imushchestv Perekhodyashchikh Bezmezdnymi Sposobami" (Voronezh, 1883), on laws concerning taxes; "Polozhenie o Sovyete po Zhelyeznodorozhnym Dyelam" (ib. 1886), the statute of the council on railway affairs; "Zakonopolozheniya o Preobrazovanii Myestnykh Krestyanskikh i Sudebnykh Uchrezhdeni" (ib. 1890); "Sudoproizvodstvo Grazhdanskoe i Ugolovnoe v Novykh Sudebno-Administrativnykh Uchrezhdeniyakh" (ib. 1891). 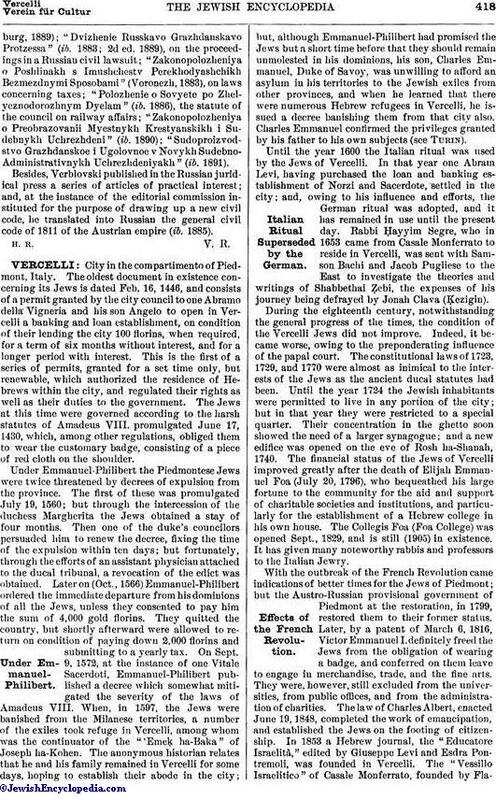 Besides, Verblovski published in the Russian juridical press a series of articles of practical interest; and, at the instance of the editorial commission instituted for the purpose of drawing up a new civil code, he translated into Russian the general civil code of 1811 of the Austrian empire (ib. 1885).